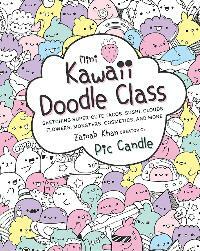 Prize: Mini Kawaii Doodle Class: Sketching Super-Cute Tacos, Sushi Clouds, Flowers, Monsters, Cosmetics, and More by Zainab Khan. She's the creator of Pic Candle, a popular YouTube channel. Statistics: This contest was opened by 67 and entered by 4 ContestChest.com members. 6% of those who opened the contest, entered it.